The Defense Acquisition Committee (DAC) on May 13, 2015 accepted Russia’s offer to build 200 Ka-226T light-utility helicopters under the Make in India initiative. The cost and other moralities are being worked out. An official source told Janes that around 50 Ka-226Ts may be imported off the shelf to address immediate IAF and Army Aviation Corp (AAC) requirements. HAL would likely license produce the aircraft in India with the Gurgaon based SUN Group, which has a tie-up with Russian Helicopters, manufacturing main Ka-226T parts in India, including fuselage, column and main rotor. HAL hopes to achieve a annual production rate of 30 to 40 Ka-226T helicopters, steadily increasing indigenous content, achieving 30 percent within the next 3 to 4 years. India and Russia agreed in principle to assemble Kamov-226T helicopters in India during Russian President Vladamir Pution's visit to India on December 11, 2014. At a joint media interaction with Putin, Modi said, "I am pleased that Russia has offered to fully manufacture in India one of its most advanced helicopters. It includes the possibility of exports from India. It can be used for both military and civilian use. We will follow up on this quickly." Follow-up quickly is just what the government has done, in a refreshing and reassuring change from the ways of the past. 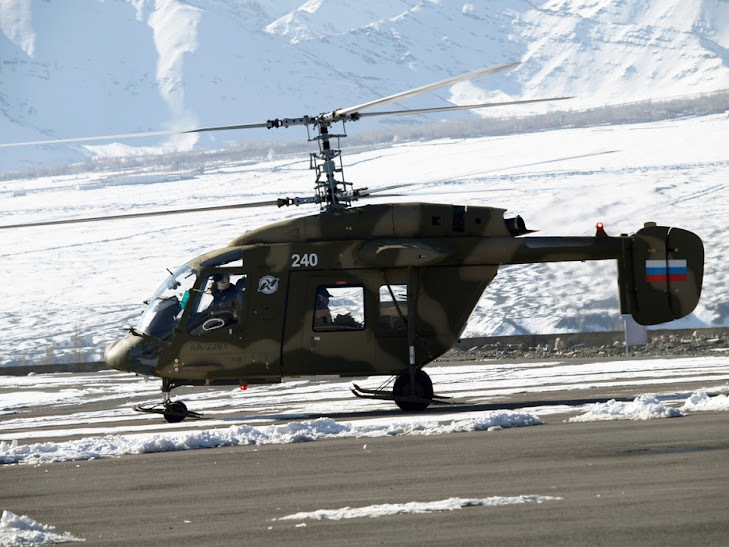 IAF and AAC personnel evaluated and approved the Kamove Ka-226T 'Hoodlum' and Eurocopter AS550 C3 Fennec as part of the procurement process for 197 light helicopters to replace aging Chetak and Cheetah helicopters in service. So why did the MoD opt for the Ka-226T? The biggest reason would have to be the Russian offer, made by President Putin himself. There is no parallel offer from Eurocopter. Being twin engine (Tubromeca Arrius 2G1), the Ka-226T is safer than the single engine (Turbomeca Arriel-2) AS550 C3. Ka-226T's Turbomecca Arrius 2G1 engines are manufactured by France's Safran. HAL and Safran have an existing technical tie-up; they jointly developed the Shakti engine for HAL's Dhruv Light Utility Helicopter (LUH) and Light Combat Helicopter (LCH). The Shakti is a derivative of Safran's Turbomecca TM333-2B engine. The Arrius 2G1, which is customized for the Ka-226, can reportedly use multiple grades of fuel without performance penalty. The Ka-226T engines can reportedly be restarted in 35 seconds; the AS550 C3 engine needs 45 seconds. Ka-226T rotor blades can be folded back towards the tail boom, facilitating compact storage and easy transportation. Ka-226T autopilot features four axis stabilization facilitating hovering, which is not case with AS550 C3. A helicopter with contra-rotating rotors is more stable in gusty winds such as those encountered in mountainous regions.